Hawaii is famous for its aloha spirit. Many experience the genuine warmth of the local people, to the extent they begin to feel like ‘ohana — family. That definitely happens a lot at the Polynesian Cultural Center. But what they may not realize in a day’s visit with us, or even on repeat visits, is how close our employees feel toward each other, and how much they cherish their PCC associations and experiences as the years go by. When the Center holds reunions, for example our week-long 50th anniversary in October 2013, hundreds of alumni came from around the world to spend time with each other, their PCC ‘ohana. These are wonderful occasions, filled with fun, feasting, games, talent shows, memories and deep aloha. Even then, some people may not realize the number of literal family connections among many of our employees. For example, since the Center opened, many former employees met their future spouses while working here. Many “PCC babies” have been born to these couples. Such parents often encourage their children to attend BYU–Hawaii and share experiences the same or similar to the ones they enjoyed while working at The Polynesian Cultural Center. Such current employees, and alumni, often proudly tell visitors their respective moms and dads met and worked at the Center. Today, in some cases, those ties extend over four generations to the beginning foundations of the Center. 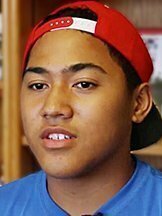 So, as part of the recent 54th anniversary celebration, the Center produced PCC Descendants, an 11:30-minute video that includes interviews with a number of young, fourth-generation ‘ohana members. Raymond Teahu Mariteragi has fourth-generation ties to the PCC through both his Tahitian and Hawaiian families. Like most of those featured in the video, Raymond started making appearances at the PCC as a young child, including playing the role of little Mana in the night show, Ha: Breath of Life. He is currently a drummer in the night show. 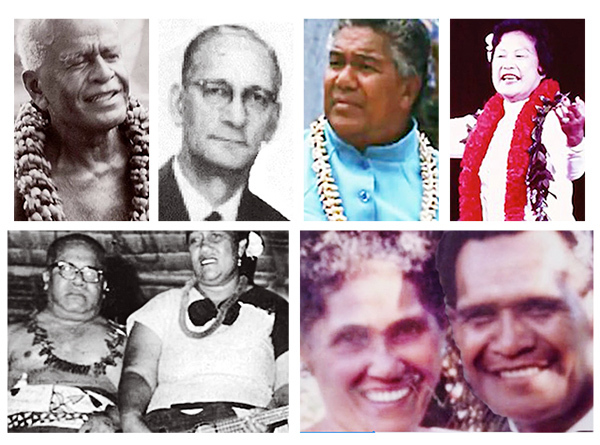 Raymond’s great-grandparents — the late Teahu “Papa U” and Poura “Mama U” Mariteragi — worked in the Tahitian Village. His name-sake grandfather, who recently passed away, worked in Physical Facilities and the Tahitian Village as well as islands and night show management. His father, Clint Mariteragi, and two uncles — Alvin and Jon-Raymond Mariteragi, have all worked in the Tahitian Village and also the night show; and two of his cousins are also Tahitian drummers. “I would like to tell my Tahitian great-grandparents thank you for bringing our family here. They gave us a good understanding of our Tahitian culture,” he said. 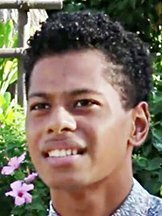 Raymond’s cousin, Jason Mariteragi — son of Alvin Mariteragi, said his Hawaiian great-grandaunt, Aunty Sally Kekuaokalani Wood Naluai, was the Center’s first kumu hula [master hula teacher]: She recruited her nieces, Jason and Raymond’s grandma, Aunty Sunday Kekuaokalani Mariteragi, and grand-aunt, Aunty Ellen Gay Kekuaokalani Dela Rosa, to dance hula with the PCC’s earliest employees. Like many since, Sunday Kekuaokalani married a PCC co-worker, Raymond Mariteragi. Aunty Sunday’s halau still practices at PCC. Aunty Ellen Gay recently retired from the Center after working here for more than 40 years. “I dance in the night show, and I do the fire knife at the luau,” Jason said. The PCC’s first Fijian Village “chief,” Ratu Isireli Racule, is still well-remembered and revered. Among many achievements, Ratu Isireli composed the Polynesian Cultural Center’s signature song, Bula Laie, which Elvis Presley made into Drums of the Islands in 1965. 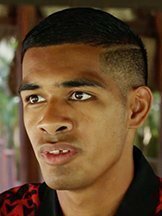 Today, Ratu Isireli’s great-grandson, Benjamin Tora, explained that when the first Fijian Village chief retired and returned to his island home, his nephew, Emosi Damuni, succeeded him as PCC Fijian Village chief. Damuni’s nephew, Joe Tulele, became the Fijian Village cultural instructor in the theater department. Api is now the Polynesian Cultural Center’s Fijian cultural performance specialist. Ben works in the evening show, and his younger brothers help in the village. Weatherly TeReiti Grace recalls “when we were little” she and her sisters would go around the PCC with her father, Alfred Grace, a Maori from New Zealand, who was then a PCC sales executive and periodically the Saturday manager-on-duty: He’s now president and CEO of the Center. Not surprisingly, TeReiti’s mom — Valerie Enos — and dad met at the PCC. Her maternal great-grandparents were involved in food services in both the next-door university and the Polynesian Cultural Center’s earliest days. 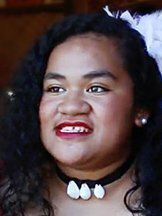 TeReiti also has a daughter, Hareiti Pukahi, who has yet to make her PCC debut — but probably will as the fifth generation in her family to work at the Center. Quest Ava’s great grandparents, Tuia Feagaimaali’i and Sitaimata Galea’i, moved to Laie in the 1950s and soon began teaching Samoan culture for the community Hukilau tourist event and university students before the Polynesian Cultural Center opened. His grandfather, Pulefano Galea’i, who’s now retired, worked in PCC island management for many years. and founded the Center’s Samoan World Fireknife Championship. Grand-aunt Vai Fa’amaligi was the Samoan culture instructor for many years. Mom Maliana Galea’i Ava was a lead dancer in the evening show and is now the Samoan section instructor; and his uncles — David and Alex Galea’i — have worked at the PCC and have both been world champion fireknife dancers. 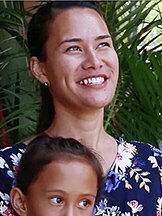 Victoria Taumoepeau is a young Food Services worker at the Polynesian Cultural Center, but her family ties go back to her great-grandfather, Tevita Alamoti Taumoepeau, who was “chief” of the PCC Tongan Village. So was her grandfather, Afu Taumoepeau; and now her father, Moti Taumoepeau, is the current Tongan Village chief. Indeed, the multi-generation tradition continues at the Polynesian Cultural Center. Similar to the story of Mana and Lani in the evening show, there are probably several young PCC workers right now who met here and are planning to get married soon. There are newlyweds who recently had “PCC babies,” with undoubtedly more to come. There are mature alumni couples out there whose kids are planning to come to school in Laie and work at the PCC. 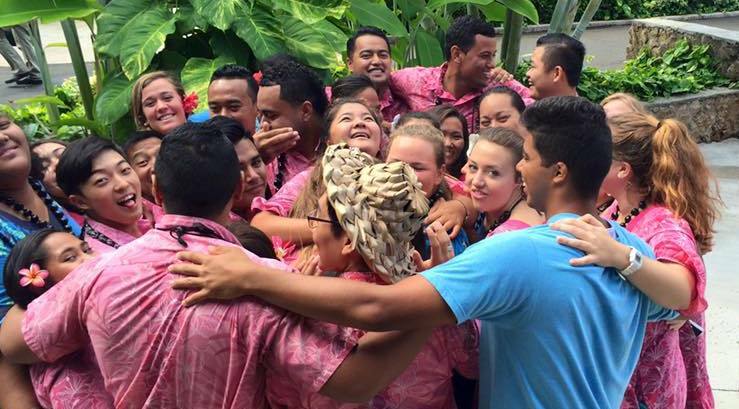 When we say ‘ohana — family — at the Polynesian Cultural Center, we mean it with all our hearts and aloha.